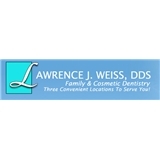 Lawrence Weiss DDS (Brooklyn) - Book Appointment Online! Your care, comfort and satisfaction are our top priorities in achieving a lifetime of excellent oral health. Our purpose is to offer quality state of the art dentistry in an enjoyable atmosphere of excellence and respect. Our team of enthusiastic highly educated professionals get to know you understand your dental desires as well as educate you about modern dentistry that is available to you as a unique individual. Your overall self confidence is directly related to your oral health; therefore, we take pride in providing the uncompromising care you would expect. Through our commitment to continued education, we strive to help our patients achieve long-term dental health, ultimately improving their quality of life. As leaders in our profession, we know everyone is unique. We encourage you to visit our office and experience the difference.